Troop is an R&B group from Pasadena, California. The group has had five number one singles and ten top ten singles on the Billboard R&B Charts. They have also completed five albums, which include three certified gold and one certified platinum album. TROOP is an acronym for "Total Respect Of Other People". Watch Troop's BET Awards Performance when you continue. 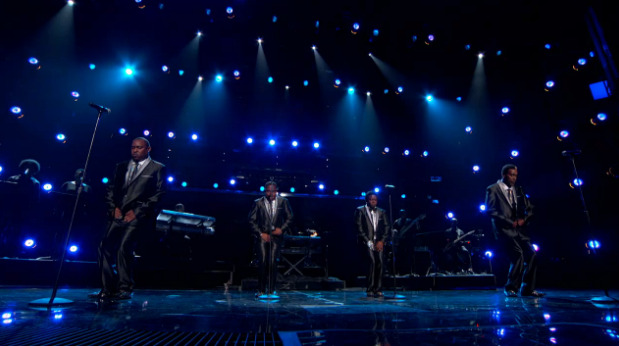 The group is most notable for a series of number-one R&B hits, including two popular cover versions of songs such as "All I Do Is Think of You" and "Sweet November", originally performed by the musical acts, The Jackson 5 and The Deele respectively, and also had number-one hits with original songs such as "Mamacita" and "Spread My Wings". The group began in the late 1980s after they won a televised (Puttin' on the Hits) talent contest that later drew interest from record labels. Troop, consisting of childhood friends Steve Russell, Allen McNeil, John Harreld, Rodney Benford, and Reggie Warren, signed to Atlantic Records and released their debut single Mamacita from their self titled album in 1988. Mamacita reached Number 2 on the Billboard's R&B Charts.